One of the original appeals of the Overwatch League’s formula was the idea of teams traveling around the world to play in each others’ home cities, surrounded by whooping, hollering, body-paint-covered hometown crowds. But that didn’t happen during season one, and reports afterward alleged that it wouldn’t be a thing until 2020. Now, though, OWL commissioner Nate Nanzer has said road games are coming to season two after all. Speaking during today’s Overwatch League 2019 preview stream, Nanzer said that taking OWL on the road is one of his biggest priorities right now. “The number one thing we’re working on at the league office—it’s all I think about before I go to bed, it’s the first thing I think about when I get up in the morning—is getting our teams into their home markets, is getting to what the vision for the Overwatch League is, which is full home and away. Every game is played in a home stadium,” he said. Season two, which begins in February 2019, will represent “the first step on that journey” with “a handful of matches in a few home cities.” As for which cities and whether they’re all in the US or some are outside of it, Nanzer and company plan to roll out more details in the near future. Even if teams aren’t going there to play matches, though, Nanzer said the league will also be providing more time for them to visit their cities during the season, ala the Houston Outlaws’ week-long Texas tour during season one. Granted, while the league is changing up its format during season two, the ugly specters of stress, overworking, burnout, and health concerns still loom. 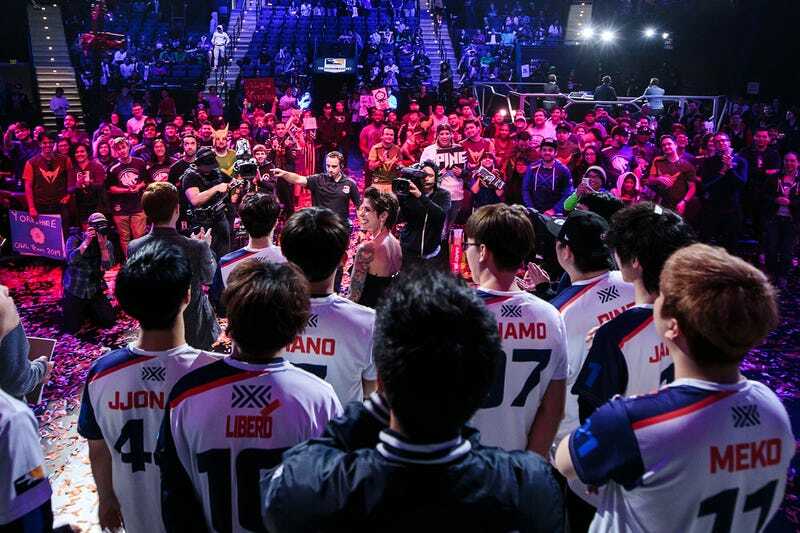 Last season, multiple coaches and players—including stars like New York Excelsior’s Kim “Pine” Do-hyeon—had to take time off from grueling practice and play schedules. After the season ended, big names like Brandon “Seagull” Larned, Heo “Gambler” Jin-woo, and Ted “Silkthread” Wang announced their retirement. Throwing travel into that already messy mix could leave players stretched even thinner as they practice to get a leg up on each other while also maintaining stream schedules and communities in hopes of building future careers after their 15 minutes of esports fame. Nanzer said that one of the biggest changes OWL season two will bring is more break time for players. Teams will be playing just one game per week, and it sounds like there’ll be other opportunities for rest as well.